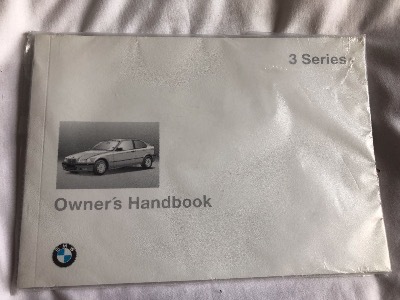 Genuine BMW owners handbook in English for the BMW E36 Compact 316-318 models made from September 1995- September 1996. The photo shows it in a plastic cover. The BMW part number is 01419789281. Please check this part number against the last 7 digits of your VIN number using the BMW electronic parts catalogue before buying. If you don't know how to do this, send us the last 7 digits of your VIN number and we will do it for you.